But, alas, a slowing metabolism and a growing awareness of lipids has sent me seeking butter substitutes in my baking. So I was curious to try Greek yogurt. 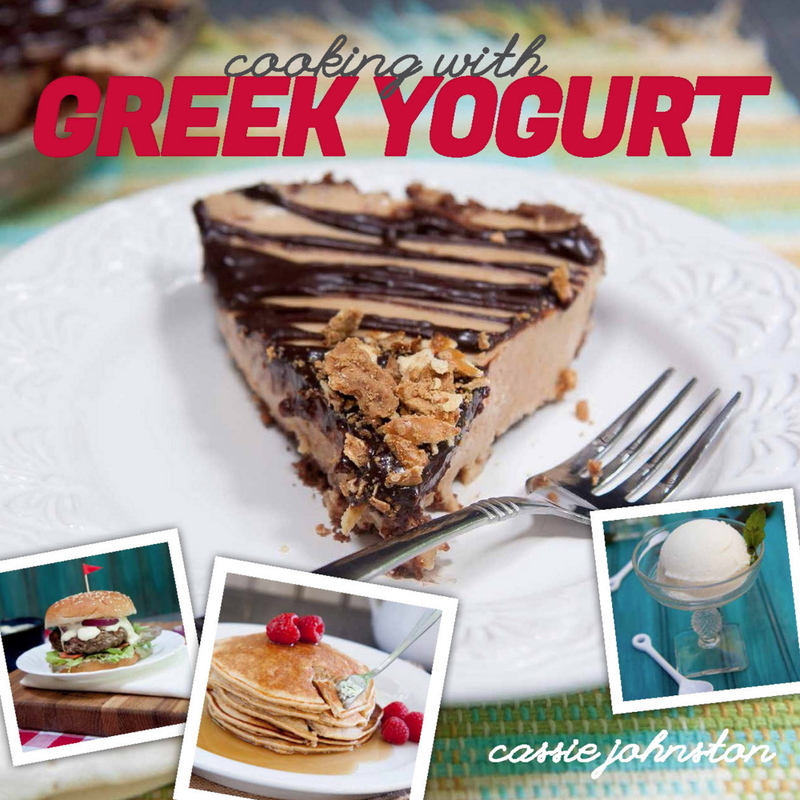 Cassie Johnston’s book, “Cooking with Greek Yogurt,” is full of chatty advice and healthy recipes that run the gamut from soups to desserts. 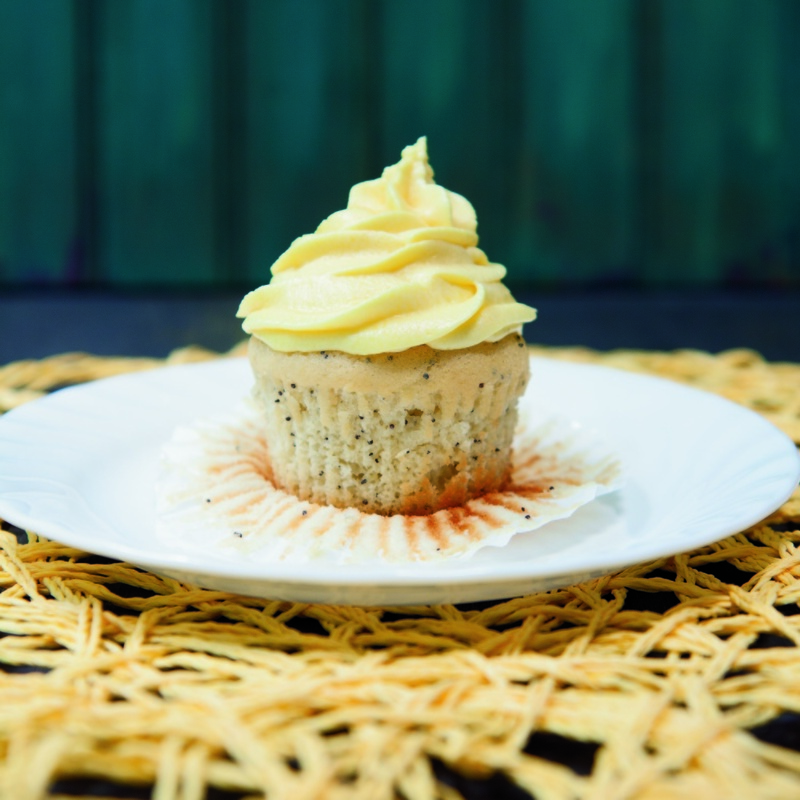 I chose to try Lemon Poppyseed Cupcakes since I read that baking with Greek yogurt imparts a tangy flavor similar to buttermilk, which I thought would enhance anything lemon-based. I was right. The cupcakes are moist and flavorful, although not quite as tender as a butter-based recipe. (The batter calls for just 2 tablespoons butter.) And I can’t dismiss the impact the lemon buttercream frosting (made with a stick of butter) had on the final product. But knowing I saved 72 calories and 9 grams of fat per cupcake by using low-fat Greek yogurt rather than butter in the batter made a favorable and healthy impression. The recipe says it makes 12 servings, but in fact it yielded 20 standard-size cupcakes – good, since these were tasty – but not precise. I used Cabot’s low-fat yogurt and give the instructions for the yield I got. The recipe did not specifically call for low-fat, but Johnston made her nutritional comparisons in the book’s preface based on low-fat yogurt, and it worked fine here. Preheat oven to 350 F. Fill 20 muffin tin cups with cupcake liners or spray with cooking spray. To make the cupcakes, in a bowl, mix sugar, yogurt, eggs, lemon zest and juice, butter and vanilla. In a separate bowl, combine flour, baking powder and salt. Add the dry ingredients to the wet in two batches, mixing until combined after each addition. Stir in the poppyseeds. Spoon the batter into the prepared muffin tins, filling the cups two-thirds full. Bake for 12 to 15 minutes or until a toothpick inserted into the center of a cupcake comes out clean. Remove the cupcakes from oven and let cool completely. To make the frosting, mix together the butter and sugar until smooth. Add in the lemon juice, vanilla and salt and continue to beat at a high speed until light and fluffy. Pipe or spread onto cooled cupcakes.